Ninja Fit Blender Stainless Steel Just $39, Down From $49.92! You are here: Home / Great Deals / Christmas Deals / Ninja Fit Blender Stainless Steel Just $39, Down From $49.92! 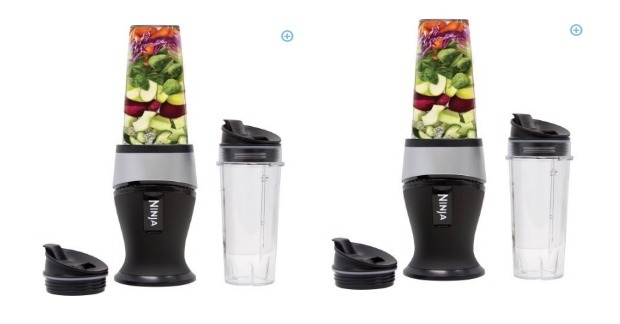 Walmart has a Ninja Fit Blender Stainless Steel for $39, down from $49.92! The Ninja Fit Blender combines multiple kitchen appliances in one easy-to-use, powerful and compact tool. With Ninja Pulse Technology, it quickly creates smoothies, nutrient juices and so much more in just minutes. It comes with two 16 oz cups complete with sip and seal lids that are the right choice for taking on the go. Made from stainless steel and featuring a 700W power pod, it offers the performance needed to extract hidden nutrition from fruits and veggies. This compact blender can even crush through ice and frozen ingredients so you can enjoy refreshing cold drinks. A 30-recipe inspiration guide is included to help get you started with use.